Line at NETA in Northampton is significantly shorter now ? maybe an hour or a bit more. But it could grow again this evening as folks get out of work. Current wait time at NETA = about 2.5 hours. Chief of police is here, says everything?s running smoothly. No traffic issues, no arrests. 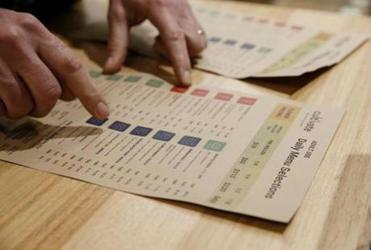 Nothing was out of stock at NETA as of around 3 p.m., officials said. NETA employees/execs say the store hasn?t run out of any products yet, and they expect to have enough supply to last through today and beyond. Only issue: people who shown up at ~8:30pm might not get to front of line before 10pm close. 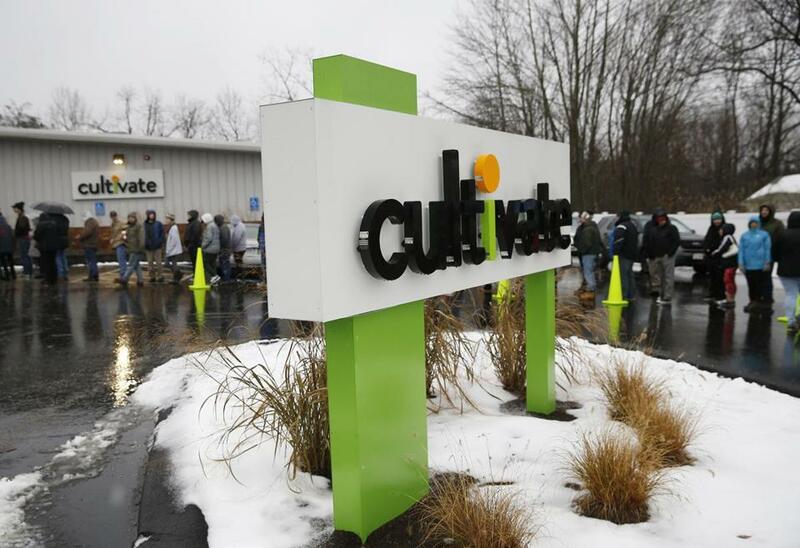 Cultivate in Leicester and NETA in Northampton are open. At Cultivate, so many hopeful customers flocked to the new shop that there were two different lines: one to get into the parking lot, and then the actual line outside the store. John Egan on waited for the shuttle to bring him back to the parking lot after purchasing marijuana at the opening of Cultivate. Around 11 a.m., a line of cars was waiting for spots in the parking lot, which is located down the street from the store. 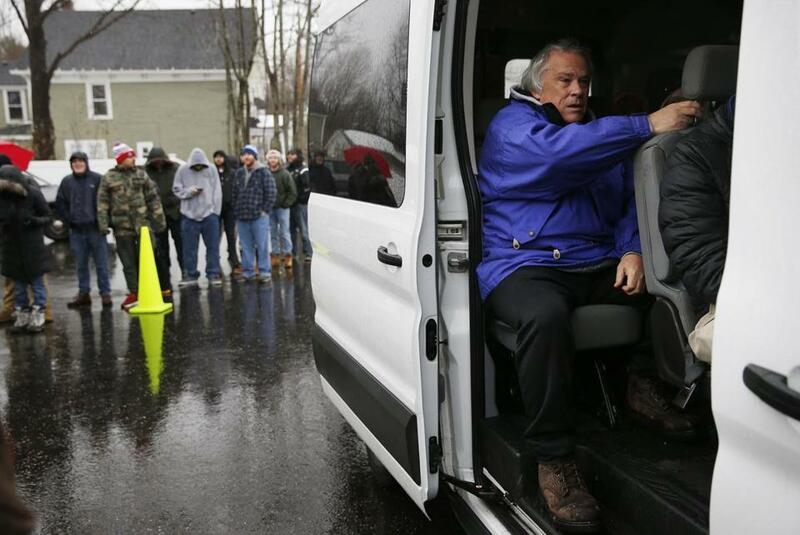 Once customers parked, they would board shuttle buses for a five-minute ride to the dispensary, where they would join another line of more than 100 customers standing outside. 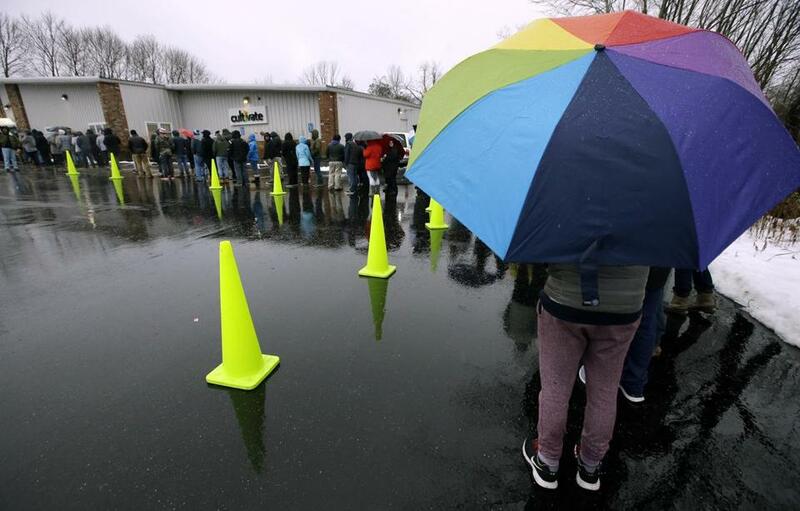 Some customers were skipping the parking-lot-to-shuttle route and finding parking spots on roads nearby, then walking down the two-lane road to the dispensary line. 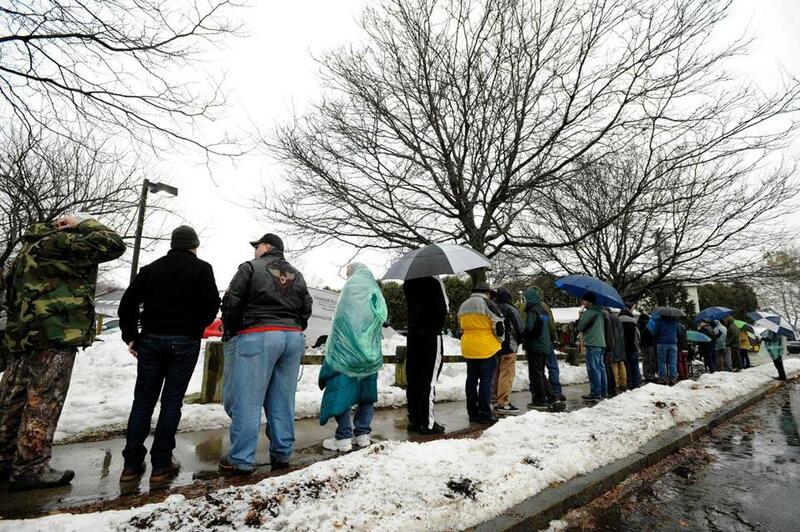 The line stretched around the Cultivate building on Tuesday morning. Before the shops even opened, some customers — antsy with excitement — lined up overnight in anticipation of the first sales, which began at 8 a.m.
One patron, Sandra Bylaska, 62, pulled an all-nighter to be among the first. She arrived in Leicester at 3:30 a.m. with chairs and a blanket, expecting to camp out like she was waiting in line for concert tickets. But after she was told the line could not begin forming until 7, she spent the early morning hours wandering in Walmart and 7-Eleven. Daquaan Hamilton, a 22-year-old UMass Amherst student and bartender-in-training, was among the first inside the Northampton store after waiting in the snow and rain since 12:30 a.m. and said he felt “on top of the world” after buying a vape pen and some edibles. 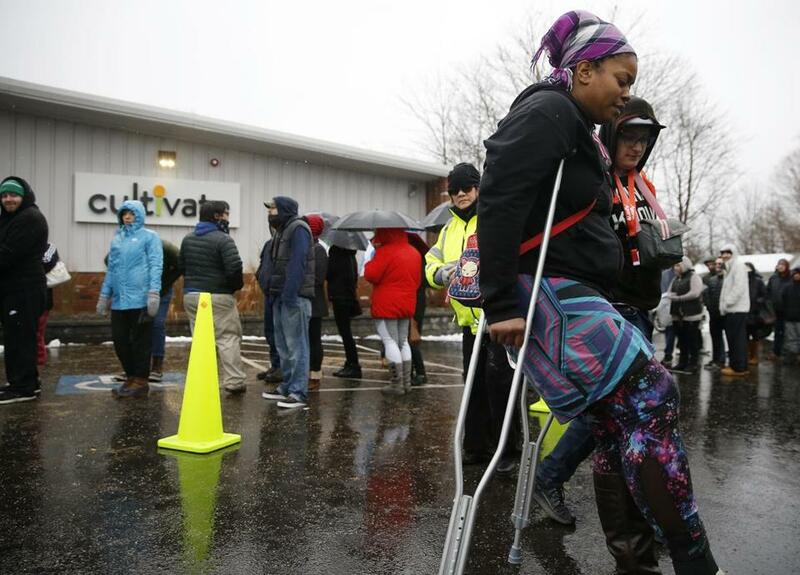 Boudicca Arieli of Somerdale, N.J. used crutches to make her way back to the shuttle after purchasing marijuana . 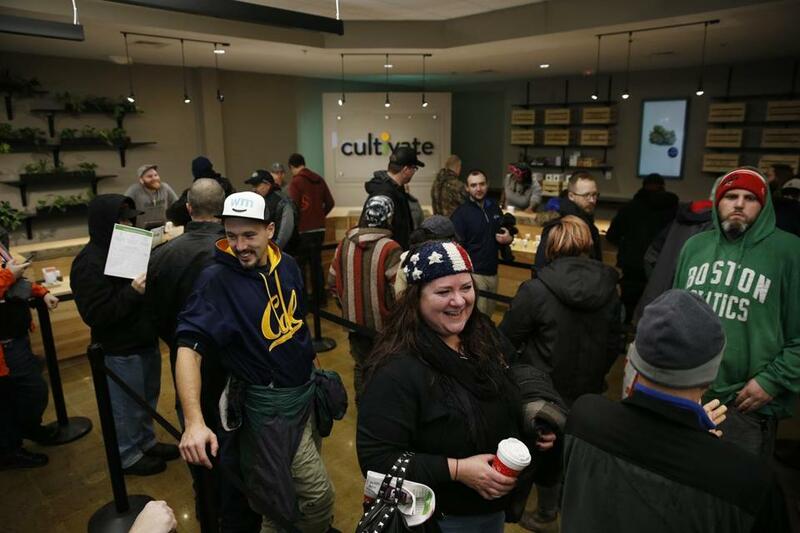 Customers lined up outside the Cultivate dispensary. 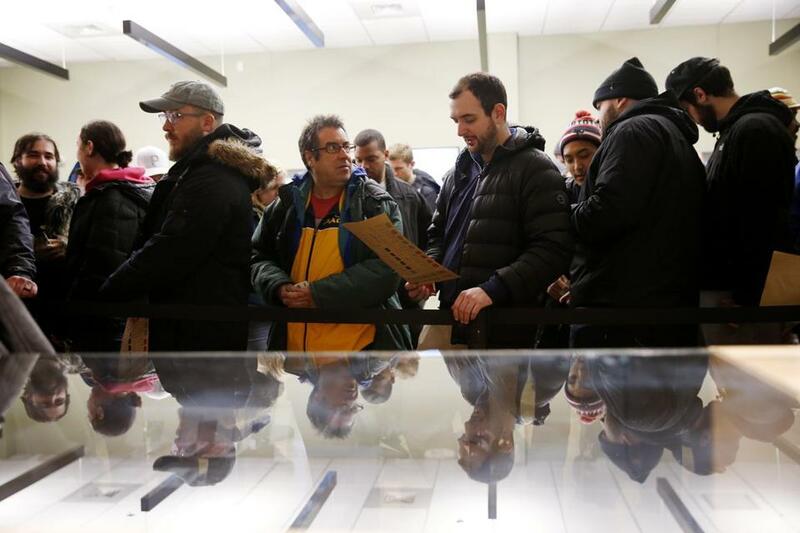 People waited in line inside the Leicester store. Jennifer DePerrio of Jefferson (center) laughed as she waits in line at the opening of Cultivate.